This portrait of roses is lipstick traces and honeyed boudoir memories. Rooms preserved in time. Images that vibrate in the corridors and houses of rose-tinted recollections. L’Artisan Parfumeur’s Drôle de Rose is cranberry-coloured nostalgia, iris, rose and violet, watching beautiful women dress, ready for deeply scented nights out, a scent rendered so delicate as to be almost the faintest of memories lost in time. I was fascinated recently by the pictures of the extraordinary time capsule Parisian apartment of Mme Marthe De Florian who left Paris at the outbreak of the Second World War and headed south. Her home in the ninth arrondisement near Pigalle lay undisturbed for over 70 years, preserving precious objects including a very striking portrait by Giovanni Boldini and the everyday items of life in layers of dust and time, including fabulous taxidermy, porcelain and a wonderful old-style pre-war Mickey Mouse toy with a long snout. 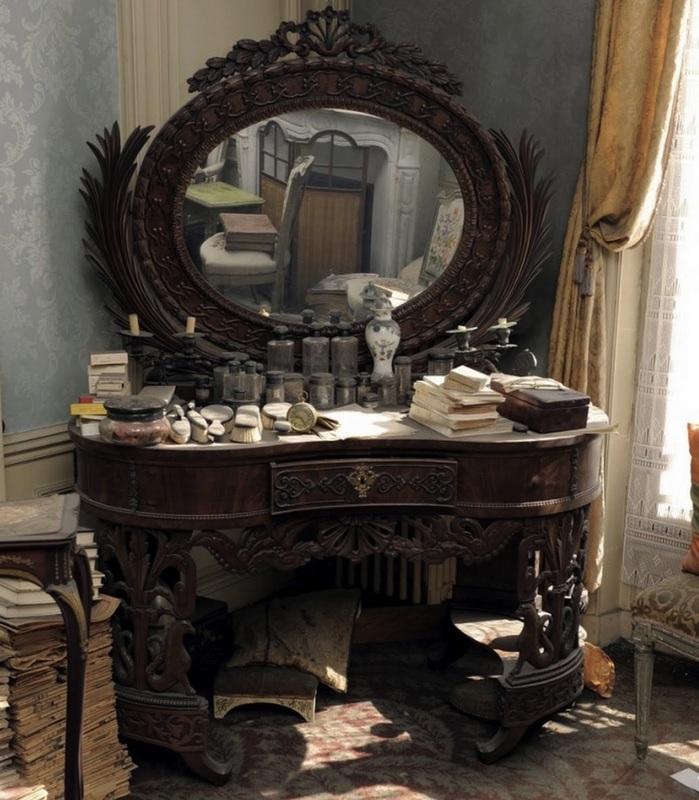 One of the most striking images was of her dressing table, ornate and still, draped in memory. When I smell Drôle de Rose and read Shelley’s encapsulation of lost time and crumbling years I now see Mme Florian’s faded rooms, lost in time, tucked away in Paris, hidden from view, exactly as she left, toys, bottles, artworks, pieces of herself suspended for over seventy years. I am very partial to a lipstick accord, the atmospheric smudged mix of rose and violet with an echo of leather, sugar and tissues, a rummagy old handbag aura. It is one of the great classic perfumery accords but is rarely done with any great distinction or recognition of desire. There are a few outstanding examples. Ralf Schweiger’s plush throaty Lipstick Rose from 2000 captures that instantly satin boudoir scent of classic lipstick, a mixture of fatty rose, smudged violet, vanillic skin and talcum. A woman in a haze of retro beauty, applying make-up in blooming mirrors in a childs’s rose-tinted memory. But there is a ruthless and animalic streak of modernity ruining through Lipstick Rose, a lick of vanillic pole dancer. A naughty raspberry note sparkles at the top as the scent opens and this develops down like a trickle of forbidden liquor through the scent as it warms through on skin. The rose/violet theme is a classical fragrance accord that echoes down through decades of perfumery. Another beauty I fell across recently is Jovoy’s banging femme fatale Rouge Assassin that tints the rose with white musks, ambrette and a lingering trail of iris. Damn! She’ll kiss you hard then shoot you through the heart, leave you bleeding out in a pool of roses and retro-scented blood, the last thing you will hear would be her metallic heels ringing out on tiles as she walks away sheathing her gun in a ostrich clutch. 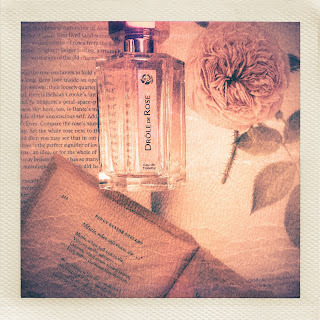 Drôle de Rose is a memory rose. A collection of petals and histories that seem as if they might crumble to dust if touched (Rose leaves, when the rose is dead….). The honey and almond amplify the sugar & powder facet of the scent. Soft voices of the past, loves lost and remembered within odours. The breath of just enough violet sweetens the touch of death in air, puzzling at first, then making a moving sense of calm in still bower. The Shelley poem was written in 1821 and published posthumously in 1824 after the poet’s tragic drowning in 1822. When I read it to myself, I tremble, deliberately shutting my eyes on the present and allowing the past to flutter at my eyelids like soft warm rain. The persistence of love and memory are achingly embedded within us. This is the true horror of senility for me personally, a fear of Alzheimer’s; the erosion of foundations. We hope as we age and love and lose and love again that these memories stay with us, flames and embers to keep us warm. ‘And so thy thoughts, when thou art gone, Love itself will slumber on.’ What are we become if these flames are extinguished? The poetic images of heaped roses, dried as if in memorium, by bed or grave, (or gathered to create scent…stirred into extraction alembics..), the odour of fading violets, the fickle transience of flowers and nature. All of this seeps through eight lines of verse. Looking for a scent to weave alongside this most delicate of mournful Shelley pieces, I flicked through the rosaceous library in my mind and could smell Drôle de Rose almost immediately, ethereal and softly sentimental. It smells like an old victrola playing a ghostly vocal somewhere in a powdered house. The linger of Drôle de Rose is almost tearful, a poignant sigh of iris and rose, a breath of sweet violet. It captures perfectly the subtleties of grief; a presence in a room. The corporeal body may be gone, but love keeps the senses and spirit alive. I loved this biography of the rose by Jennifer Potter. I bought it on sale in my local bookstore, but it is lavishly illustrated and beautifully written. 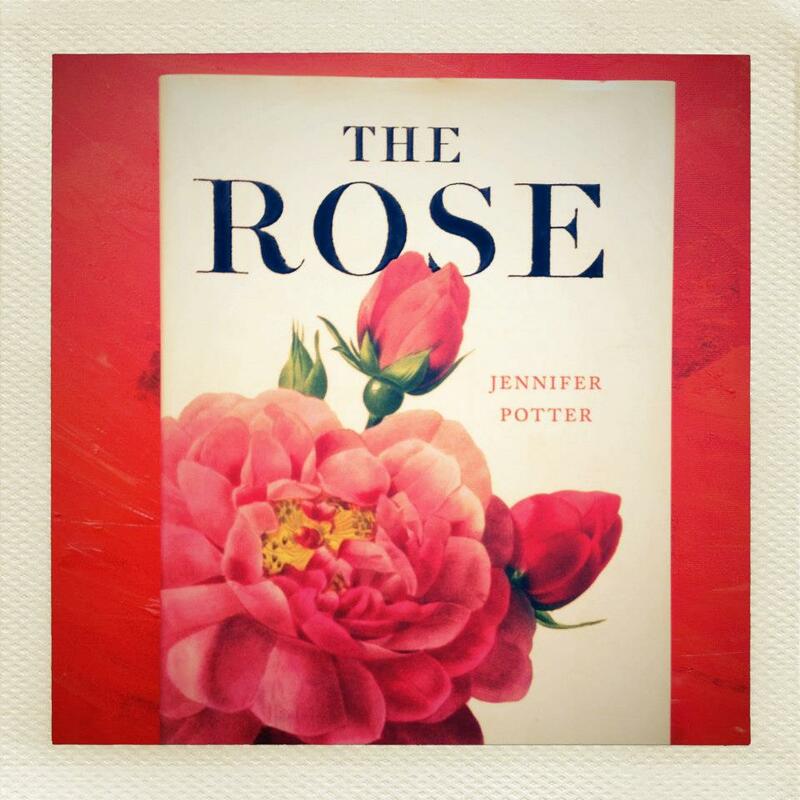 Chapter sixteen 'Heaven's Scent' on the history of the rose in in perfumery is invaluable reading.